It's EASY with My Learning Center! My Learning Center is easy to access and use. In a matter of minutes, you can be online participating in a training session. Here's how to get started. Click on the Secure Dealer Login button at the top of this page. 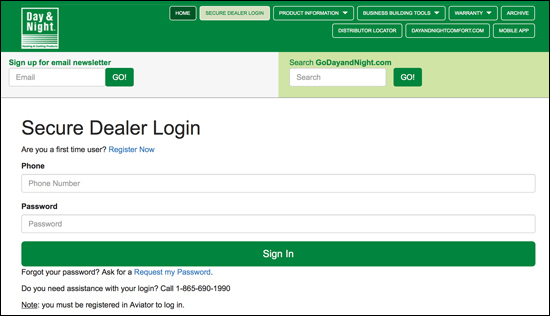 Enter your user information on the Secure Dealer Login page. 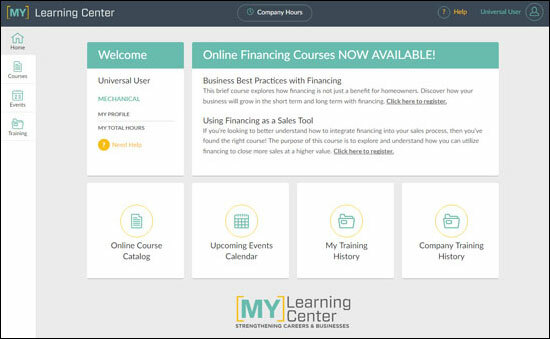 Click on the My Learning Center tab at the top of the page. My Learning Center will open in a new window. Click Online Course Catalog to search for online classes via keyword, category or topic. For classes that have a fee, you will be prompted to input your credit card information prior to confirming registration. If you start a training class and get interrupted for some reason, you can suspend the training and pick the class back up at a later time. Just go to the Find a Course page and click on the Launch button next to the course you were working on. My Learning Center will resume the online training where you left off. My Learning Center will also help you quickly and easily track your training hours. The My Training section keeps a comprehensive list of all the training courses you have completed throughout the year. If you have additional questions about My Learning Center, there is a Help button on the site to guide you. And, you can always contact the Learning Center team via email at: mylearning@icpusa.com. My Learning Center. 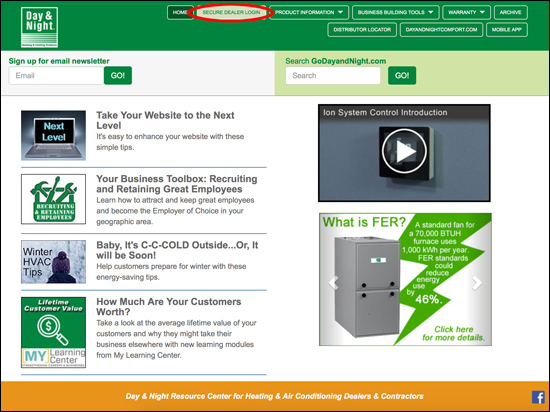 It's an easy way to learn more about the latest Day & Night products, programs, sales, customer service and marketing tips on your home or office computer, at a time that's convenient for you. My Training. My Way. My Learning Center.